Hormones are an essential component to igniting the full power of your mind and body. The previous thoughts that hormones are unsafe and only useful during the immediate menopause or andropause transition periods are being questioned and the data is showing that balanced and natural hormone replacement has amazing benefits and preventative properties! At Spectra Wellness we offer over 15 years experience in balance hormones safely and provide multiple options. We can get you balanced with a blend of compounded topical therapies, natural pharmaceuticals (which are sometimes covered by your insurance), or pellet therapy using BioTE®. Feeling Better Starts with a Simple Blood Test. Not sure if you are a candidate? Call our office to book your consult today! Regain energy, muscle strength and a greater ability to lose weight. Increase mental clarity and feel younger and happier again. Experience an increased quality of life while preventing age-related illness. Pellet therapy uses hormones derived from natural plant sources to replicate the body’s normal hormonal levels. Patients have found that bio-identical hormone replacement therapy with pellet implants is extremely effective. Implants, placed under the skin, consistently release small, physiologic doses of hormones that provide optimal therapy. 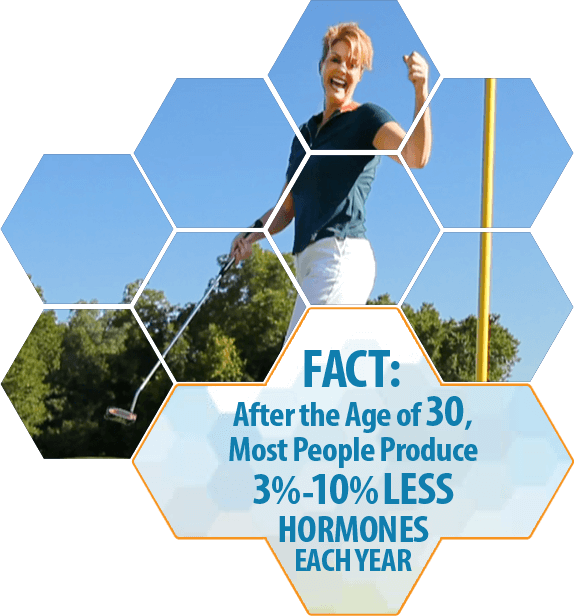 BioTE® Medical Hormone Pellet Therapy is the only method of hormone therapy that provides sustained hormone levels throughout the day for up to three to five months without any “roller coaster” effect. Because the hormones used are completely natural, pellet therapy is ideal for patients who want the benefits of a natural hormone without the drawbacks of a synthetic. Pellets contain a natural plant source of estrogen and testosterone. A compounding pharmacist, using strict federal guidelines, compounds the estrogen and testosterone used in the pellets. These pellets, which are smaller than a grain of rice, are placed in the fatty tissue underneath the skin and most closely mimic the actions of healthy ovaries and testicles with regard to hormone release into the bloodstream. The hormone pellet implantation procedure is easily performed in the office. Proper hormone levels are determined by the BioTE® comprehensive blood work analysis. Unique dosing is generated for each individual patient, so dosing is customized for what your body needs. Pellets deliver pure, bio-identical hormones directly into the bloodstream 24 hours a day, 7 days a week for up to 5 months. Pellets provide a constant supply of hormones that your body recognizes as its own, which significantly reduces the chance of adverse side effects. Topical hormone replacement is a great option for those not wanting hormone pellet therapy. We offer creams, patches and troches. We will customize a cream for you at our local compounding pharmacy made from plant-derived hormones. 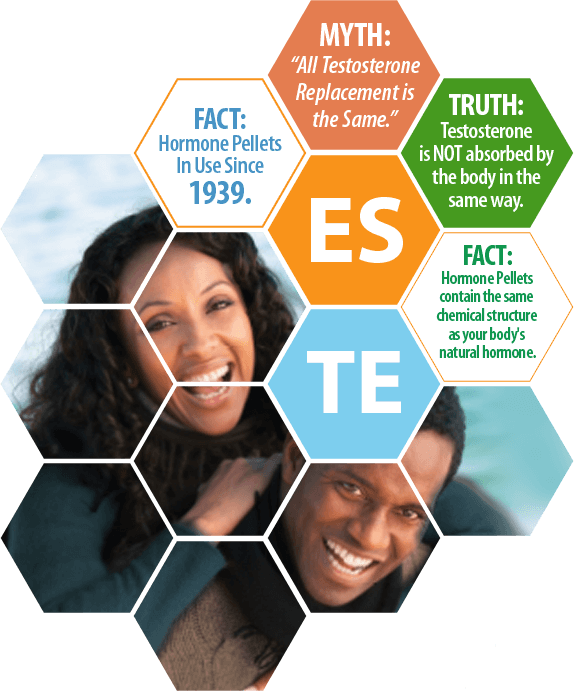 The hormones are biochemically similar to those produced by the body. A preparation contains one or more various hormones in different amounts to meet each woman’s individualized needs. Men can also use creams for hormone replacement and avoid those painful weekly injections. At Spectra Wellness we understand that hormone replacement therapy is complicated and confusing due to lots of mixed messages from doctors and the media/lay public. We will help you decide which route is right for you and work with you on a personal level to determine and achieve the best possible result. Our goal is to alleviate symptoms and most importantly to help you live a healthy and vibrant life!